Shipping container homes won’t surprise anyone in nowadays. But there are building companies that don’t just convert old shipping containers into homes but build really amazing shipping container homes which are better and more economical than the housing to which we are so accustomed. 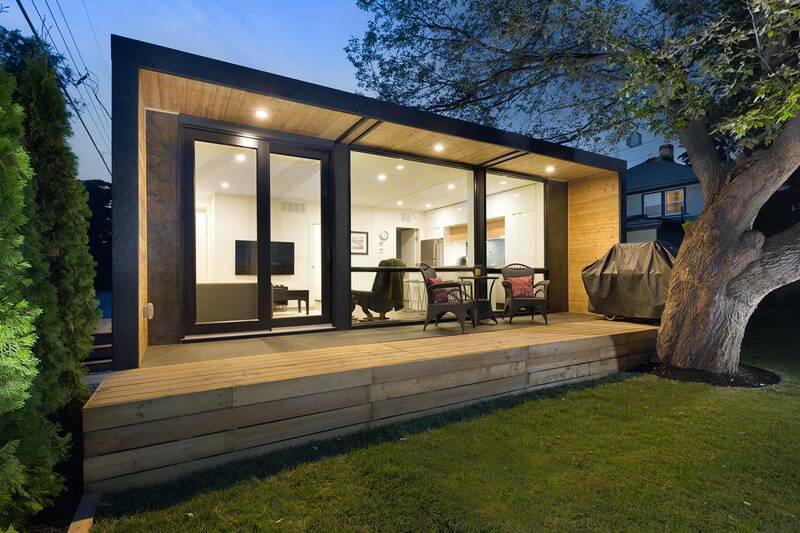 Considering low cost, speed of construction, the possibility of modular design – prefab shipping container homes are becoming more and more popular every year all over the world. 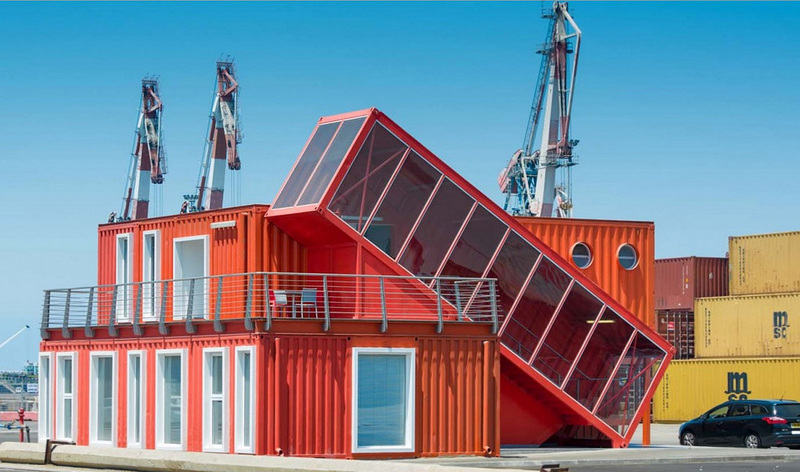 For you, we have collected a collection of Top 15 most interesting examples of shipping containers architecture and some of these container homes are available for sale. Living in a shipping container home is a really cool idea. None of that brick and mortar, for once, but only large and empty boxes that you fill up with your belongings and convert into a liveable space. 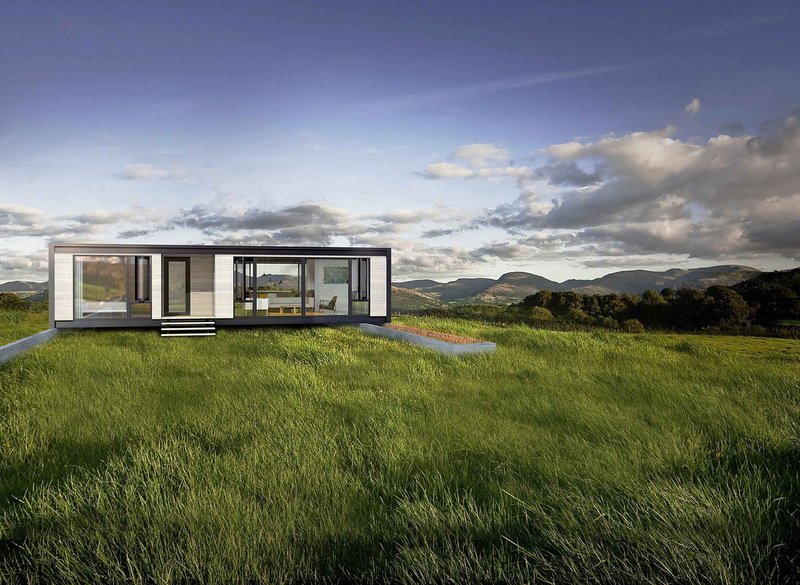 Prefab: Being modular homes, prefab shipping container homes have shorter construction time. So, you could get your home within 10 weeks! Easy portability: Containers can be moved around easily until they reach you. They are very easy to set on your already prepared foundation. Predictable cost: Construction of these homes is done at a fixed price and is accomplished on the factory floor. The variable costs include site preparation, foundation, electricity connections, etc., which go to reduce overall costs. This makes a shipping container home very affordable. Recycling: The fact that a reusable part of a ship is being converted into a home makes it environment-friendly. 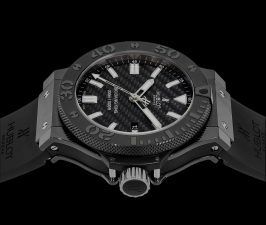 Durability and robustness: Since they are parts of old ships, you can imagine how robust and durable they are. Energy-efficient: They are energy efficient and earthquake-resistant. This new office building has been built taking environment protection, functionality, productivity , etc. into account. 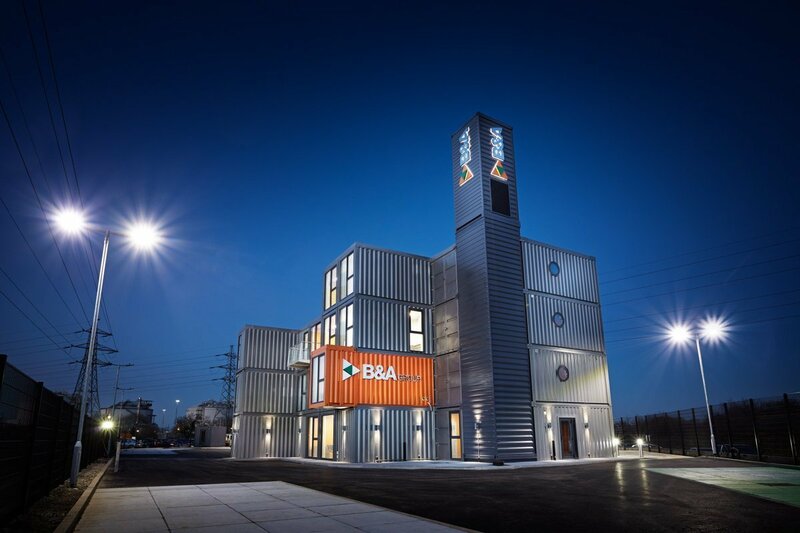 This building has been constructed using new and old shipping containers, and by converting it into a stylish office space for better productivity and wider operations. By using upcycled shipping containers, this house in Greece was made 30% cheaper than conventional construction. 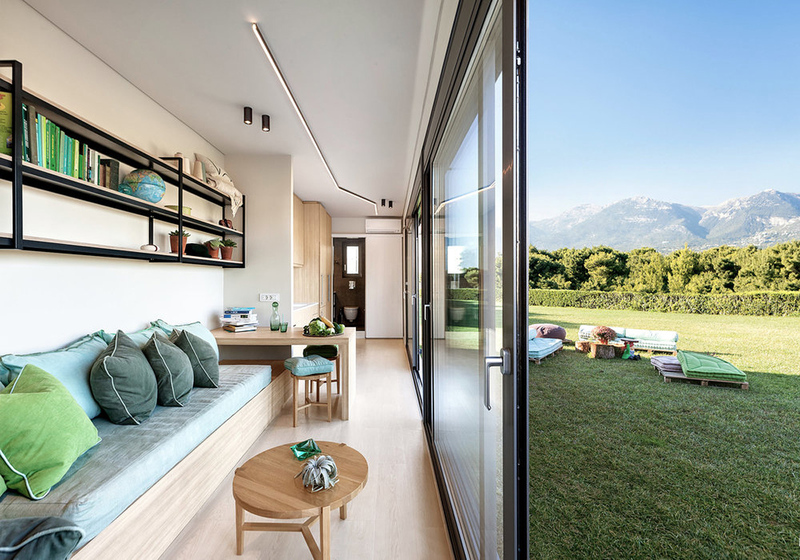 It was built in a suburb of Athens, Kifissia, and has timber siding on all three sides. It also has large glass sliding doors that liven up the living space and kitchen. There’s also a small bathroom and a corner to sleep in with built-in storage spaces. 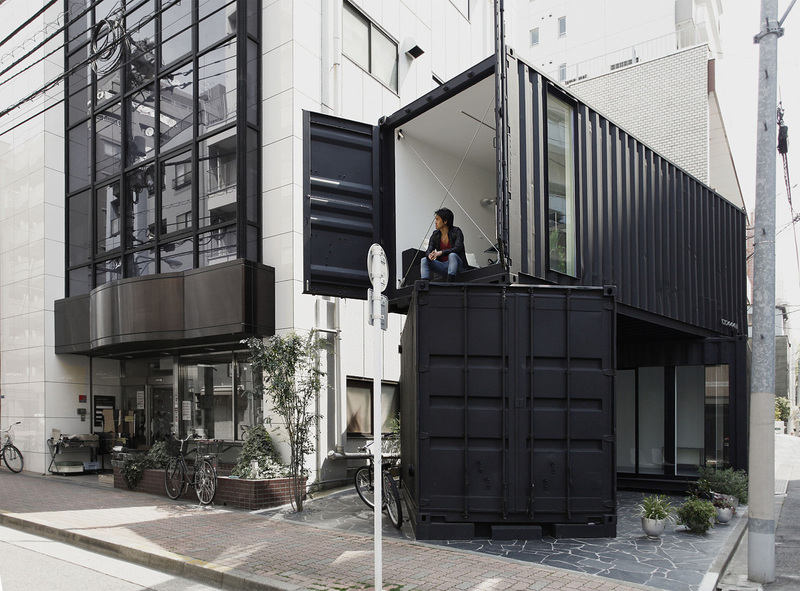 The container’s industrial doors protect the glass wall and door of this house. 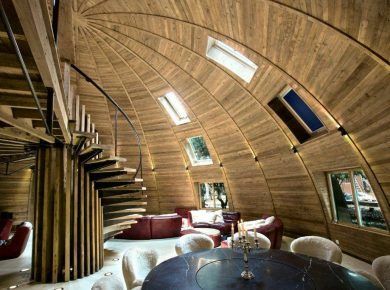 The furniture of this house is built using sustainable materials, while overall, the home is entirely energy-efficient. 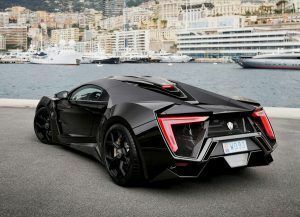 It runs on a “smart” low-technology system which works well for day-to-day use. 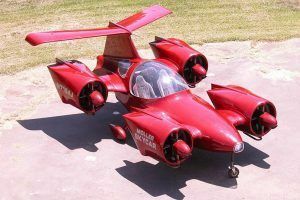 And, being modular, it can also be expanded in future. Check more photos. 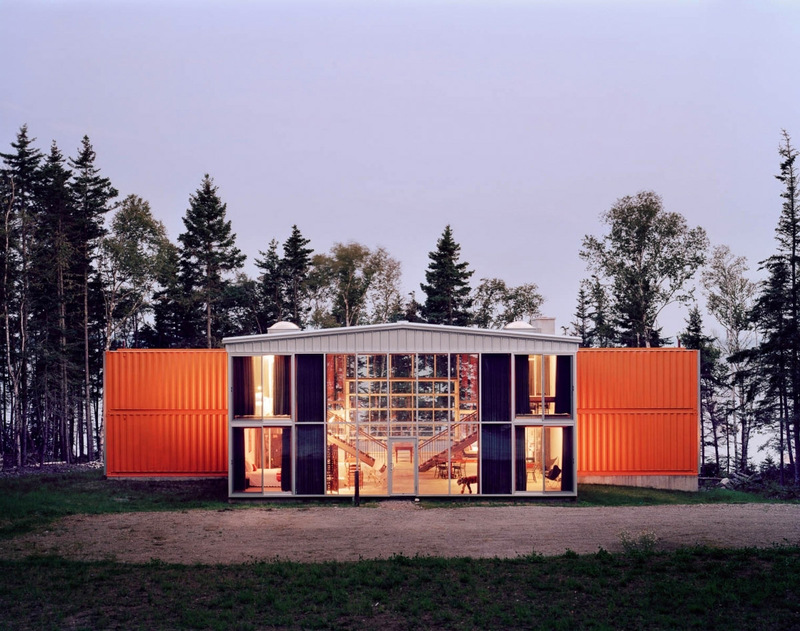 Shipping container homes initially shot to fame for being easier to manage. 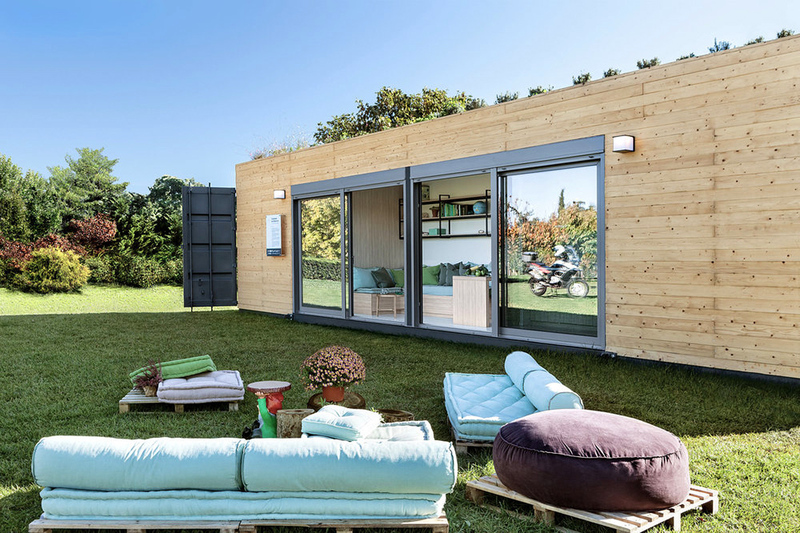 Now, smart architects are taking things to the next level, with imaginative yet smartly built container homes. 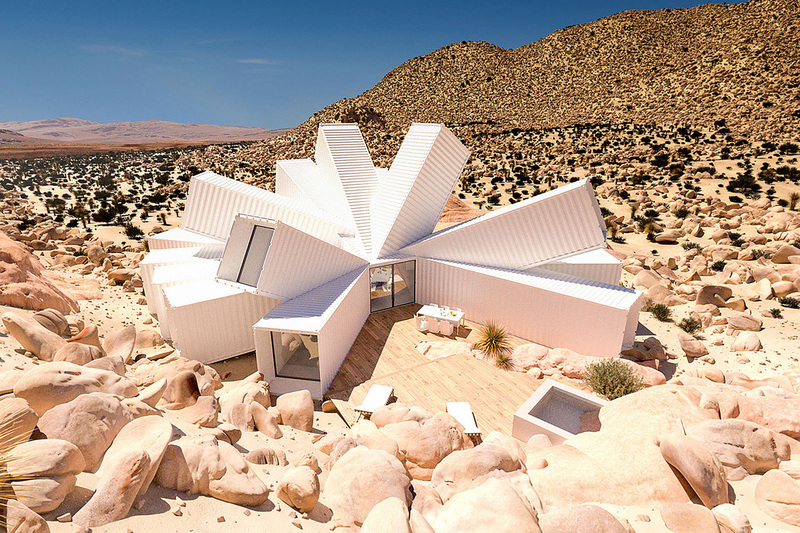 The Joshua Tree Residence, situated three hours away from Los Angeles by road , is one of them, made of several containers that jut out from a central point. It’s a three-bedroom home, spanning 2,100 square feet, and made of white containers. The inside is clean, calm and sunny and yet private. At the rear of the house is a wooden deck hidden amid the Joshua Tree Desert. Check more photos. 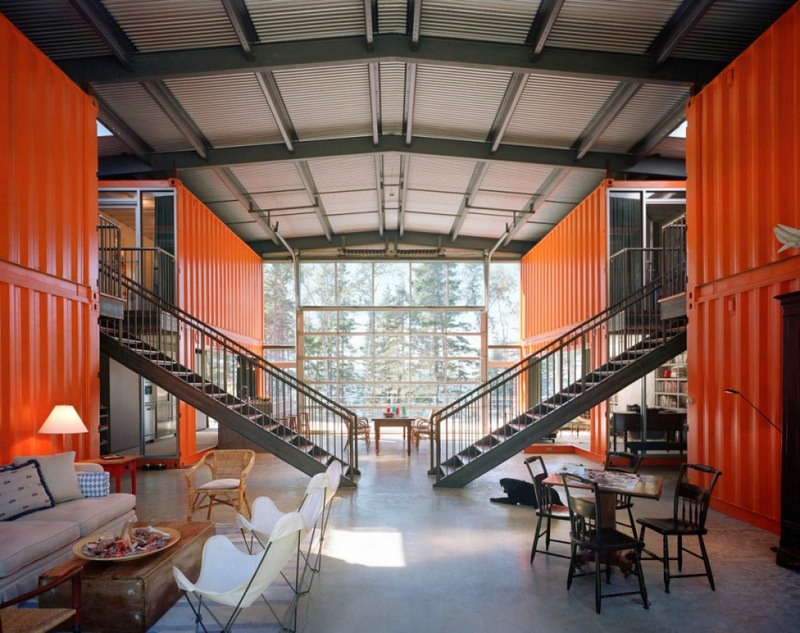 An architect in Vancouver, Randy Bens bought a 28 feet case of shipping containers from a company offering modified containers for commercial and home use. 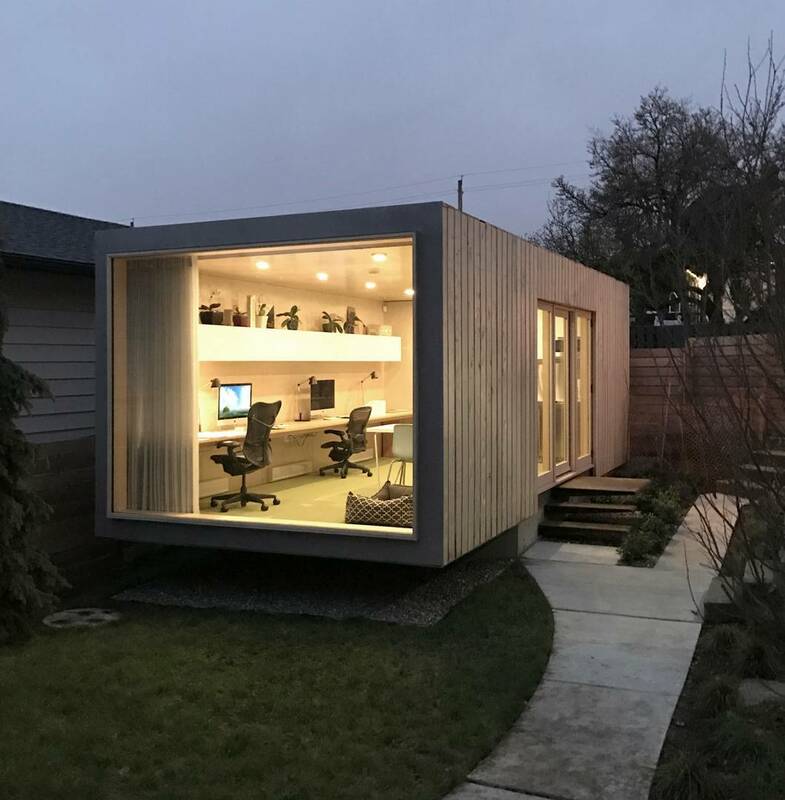 He planned and built his office here in a 350 square feet area in his backyard. Here, he has a large window, birch paneling , a kitchenette and a powder room and an exterior area just right for meetings with clients. Working in his backyard negates the need for driving out to far off places to work. And he finds it peaceful and productive. 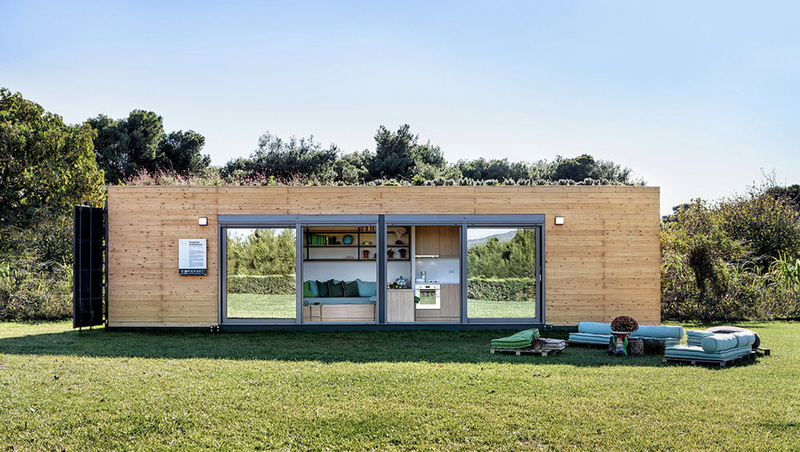 This project is so titled because it uses 12 containers in the design, all of which contribute towards making a unique and innovative summer home. Built over an area of 4000 square feet, it consists of two floors. There’s a lot of glass used here from floor to ceiling, front and back of the house. It takes a T-shape, with most of the building’s exterior being made out of one steel frame. Here, there’s a living area and kitchen on the ground floor with a breakfast bar. On another level, there are two staircases which can be seen on two sides of the ground floor. On the floor above this are the bedrooms and bathrooms. 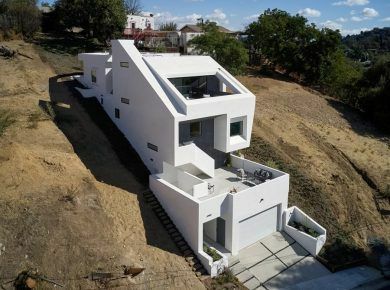 The designer of this home has brought so many innovations to the layout of this house that at a construction cost of $125 per square foot, it is one of the most economical container homes. Tel Aviv Studio Potash Architects are famous for repurposing containers to build buildings. 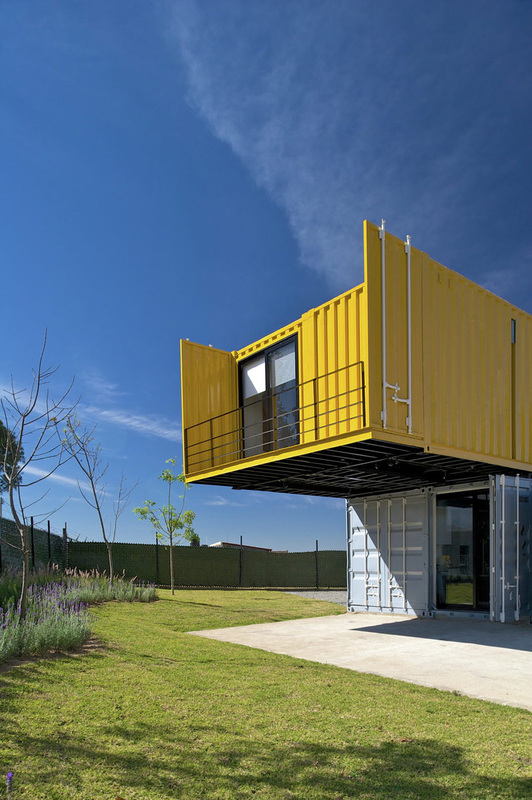 This time, they took seven shipping containers and created a modern office near the Israeli capital city. The red boxes, stacked one on the other, are indeed office spaces, tech rooms, and event spaces. There’s also a scissor staircase in one of them that’s set at a 30-degree angle . This was done for two reasons: one to differentiate it in a fun way from its environment and two, to draw emphasis to the recreational part of the building. 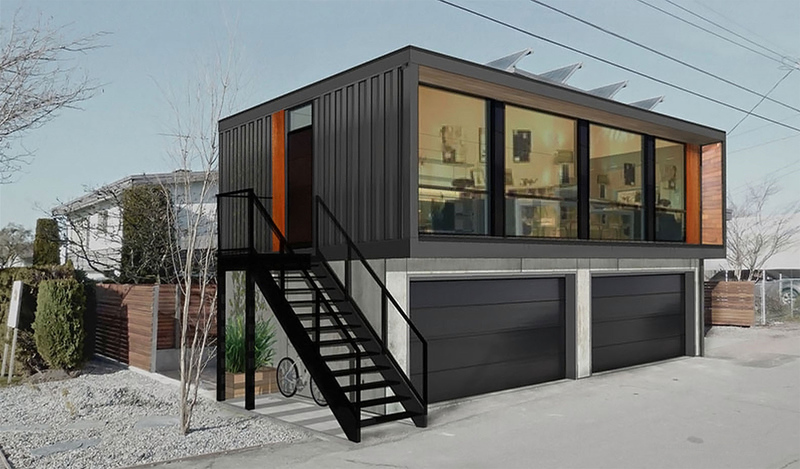 The Canadian company, HonoMobo makes homes from shipping containers that can easily sit on the top of a garage so that homeowners can add some living space to their homes or rent these out. With 532 sq ft space per MD Container House, you can add some serious space atop your garage. The floor plan has been innovatively designed, with ample space for a spacious kitchen, living area, a bathroom, and a bedroom. Connect: Homes is the first company in the prefab space to deliver ready homes not just by truck, but now also by ship and rail. Now, with specific system designs, modules can be completed up to 90% and then shipped, thereby greatly reducing installation time and any hidden costs that are common to traditional construction projects. This means buyers are presented with a fixed cost right at the beginning, bringing in total transparency into the system. 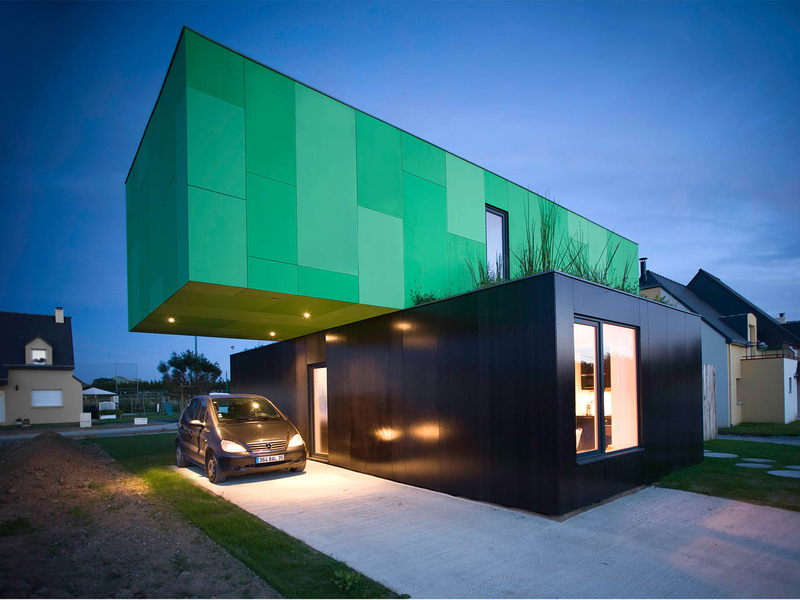 It is also waste-efficient, which means that since these homes are factory-built, the waste generated is reduced by 75%. The homes built here are highly energy-efficient since they all use LED lighting that assures annual savings. 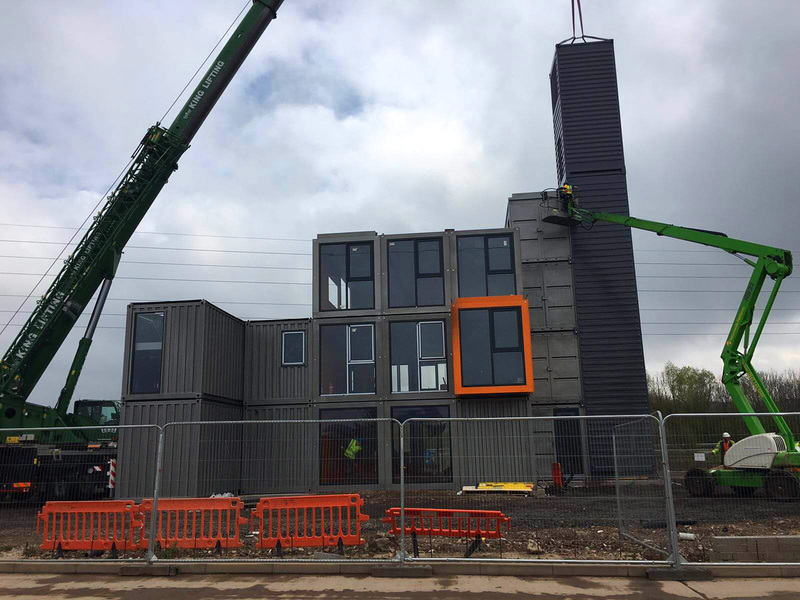 Bang in the middle of a housing estate is a DIY shipping container home with a difference. 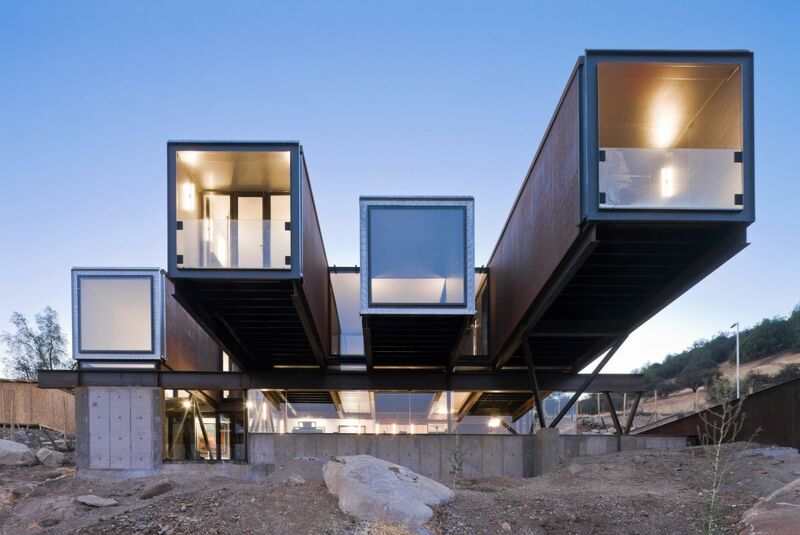 Built with four 40′ shipping containers, you find two boxes crossing in cantilever fashion over the other two. The total effect is one of balance, vivid colors, and simplicity of interior design. The objective of this 3D modular and industrialized residence is to have an affordable home with a lot of stress on being eco-friendly. Here, the living room is on the ground floor, while the first floor houses the three bedrooms. Where the two boxes cross over is a carport and a covered entrance. This prefab house belongs to an art collector and his family, who live in the suburbs of Santiago, Chile. 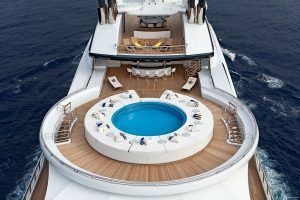 To reduce costs and construction time, the following used shipping containers were taken: five 40″ standard containers; six 20″ standard containers and one 40″ open top container to create a swimming pool. Shipping containers are readily available, are waterproof and durable, so they make good options for traditional construction methods. 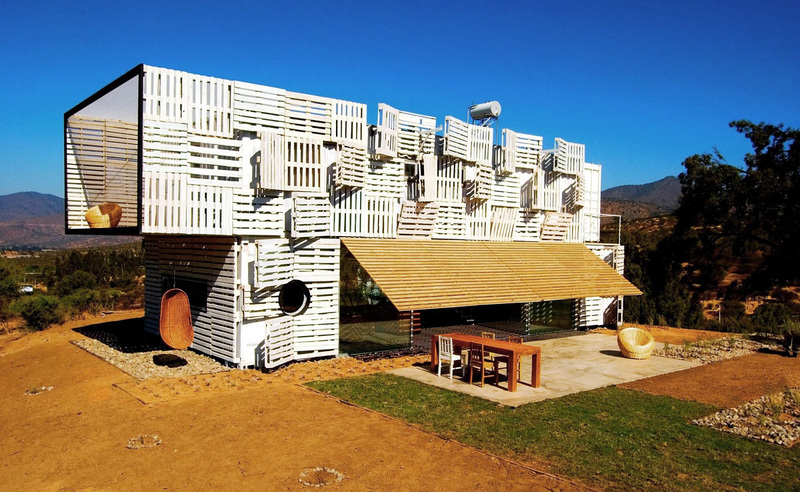 It was built by Chilean architect Sebastián Irarrázaval, and features passive cooling. This house, with spectacular views of the Andes, is built on an area of 350 sq m . Its design imbibes the best of the natural surroundings, particularly the picturesque hillside. The layout of this house is striking in originality, with the kids’ room being set on an incline. Among other innovative ideas here are the repurposed containers that are now the windows and skylights. Passive cooling or the mountain air has taken the place of air conditioning, which comes indirectly through the doors and windows. What makes it extremely cost-efficient and eco-friendly are the low-cost construction materials used and the overall low maintenance of the home. The house has spectacular views of the Andes Mountains. 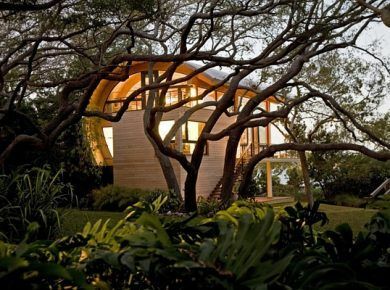 It is built on an area of 350 sq m and combines the best of the natural surroundings, such as the hillside. The resultant plan is striking for its originality, with the kids’ room being on an incline. The shipping containers were repurposed to have several windows and skylights, among other features. 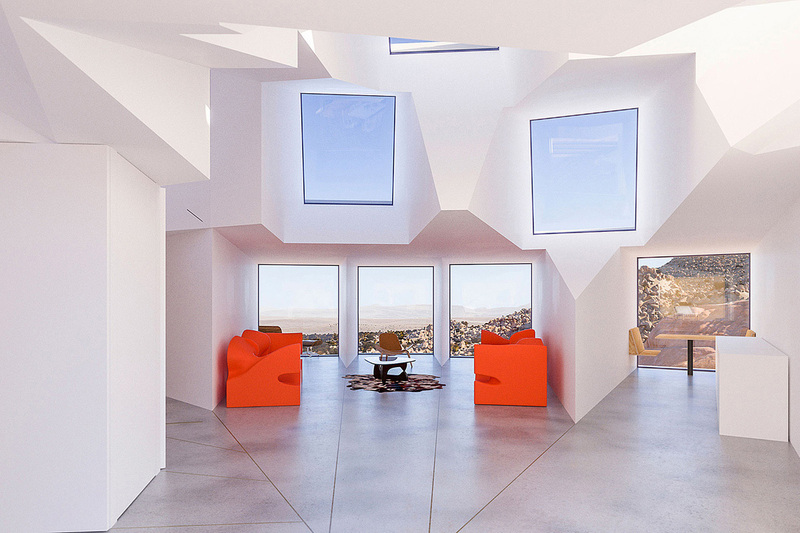 Instead of air conditioning, this house uses passive cooling or the cool mountain air. The construction materials are low cost and low maintenance. 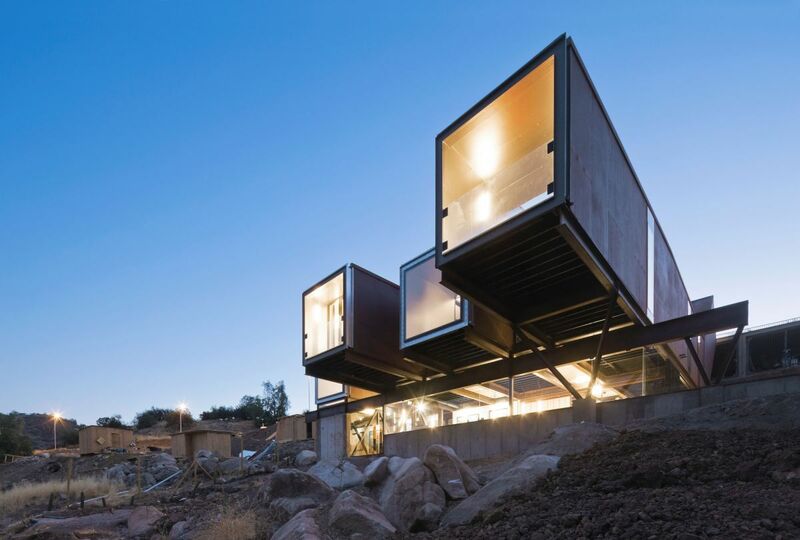 Designed by James and Mau Arquitetura , this eco-efficient and modular designed home in Chile uses reused and recycled material, non-polluting fabrication methods, among other eco-friendly materials and methods. Palette shutters help open and close the structure for heating. 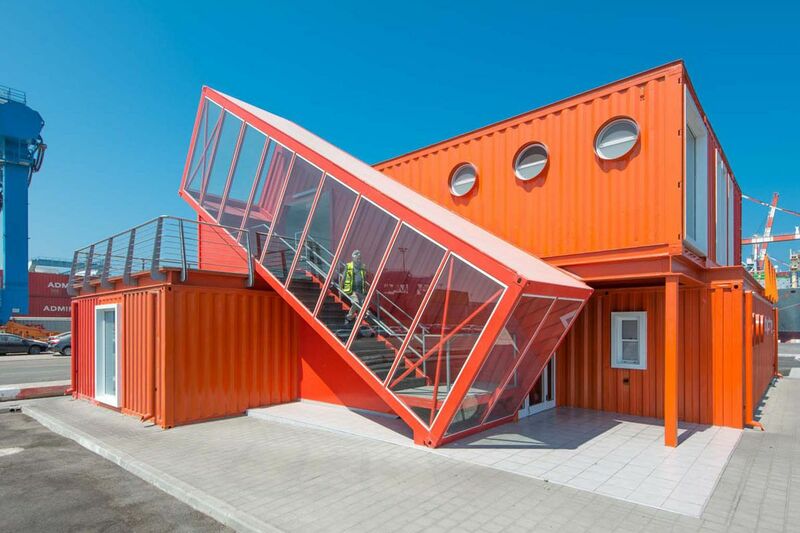 Three recycled containers have been used here for over 160 sq m of total floor area. Two levels have been created of which the living room with sliding glass doors is on the ground floor. These doors open out to the patio that enlarges the indoor-outdoor space. Bioclimatic design: The building design has been done considering the climatic and environmental conditions to provide maximum comfort inside. Prefabricated and modular design: These elements help reduce construction costs and allows for any future modifications. Environment-friendly materials: The interior and exterior of the house have been made from reusable , recyclable and eco-friendly materials. These include cellulose, cork, aluminum , wood and iron. The interior and exterior of this house were made with materials that were re-usable, recyclable and eco-friendly, such as cellulose, cork, aluminum , wood, and iron. This resulted in an 85% saving on construction costs. This simple shipping container home has been constructed using a 40ft marine container with a hatch on one of its gable sides. The rear entrance is long and dark but opens and closes freely from the inside. 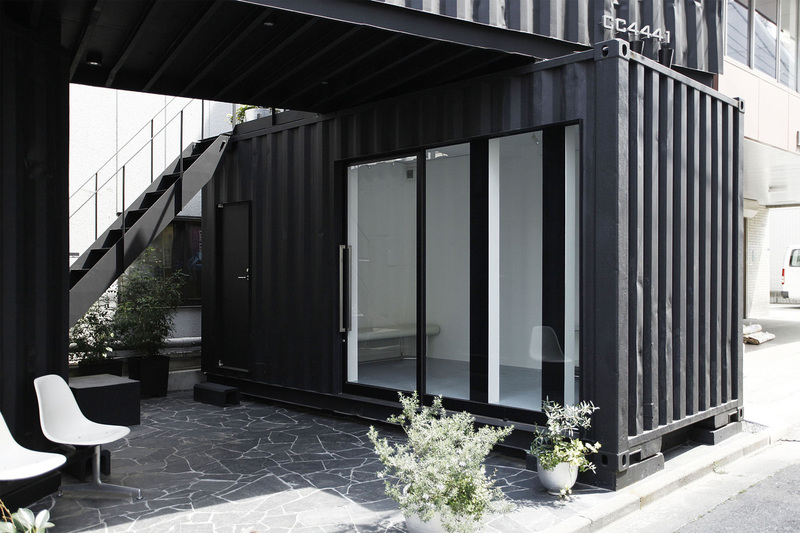 Located in Torigoe, Taitō, Tokyo, Japan, this container has been custom built for a client of Tomokazu Hayakawa Architects who wants this space for a small office, with space enough for his wife to operate a small gallery in the area. The inside of the container is actually a timber frame, which not only makes it look great but also makes the structure earthquake resistant. Located on the banks of the Grillagh River, Ireland, the site for this house is right next to the historic and scenic Drumlamph Woodland. 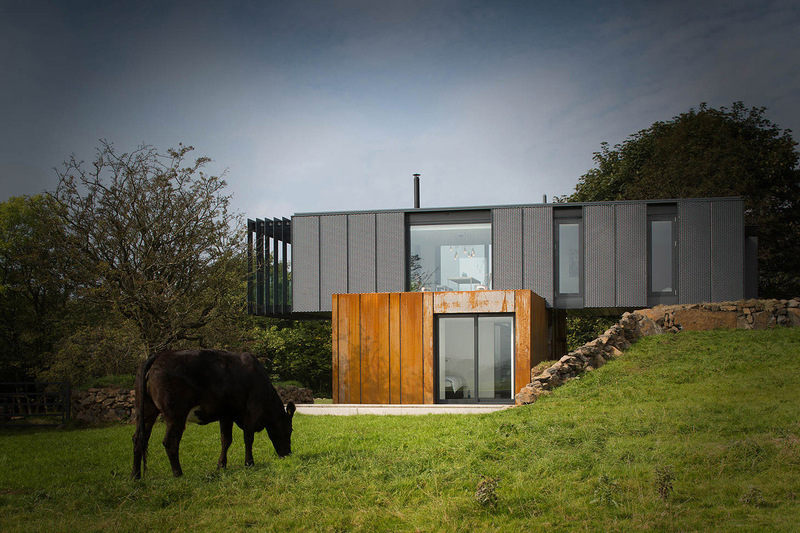 This shipping containers home gives a whole new perspective to rural architecture in Ireland’s countryside. 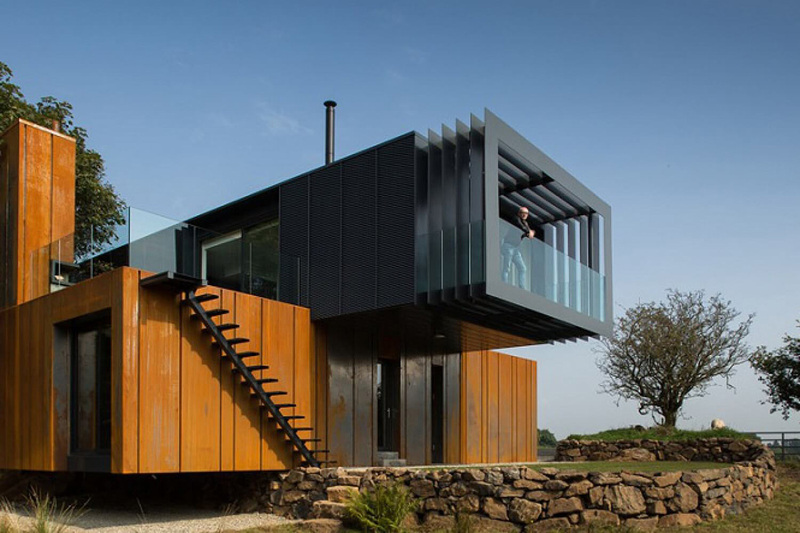 This house was the first in Ireland to be built out of a shipping container, using four 45ft shipping containers. Merged together, they formed two large and daunting cantilever formations. The architecture has included the natural landscapes, the mountains, river, and woodland. The aesthetics of this house blend well with the Irish countryside. 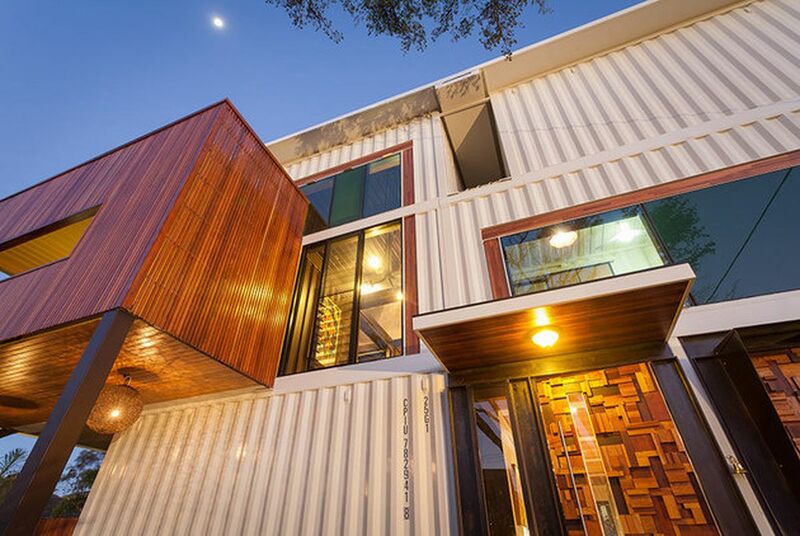 This house used 31 shipping containers to build a three-storied house. Building out of used shipping containers meant that the steel structure would protect the Millers against floods, and when they realized that it meant under $4000 per container, they found it to be cost-effective. On the second level are the living and dining rooms, and kitchen. The Millers are a satisfied lot today as their vision of using a container to build their home has been achieved and they have done it in conformity with environment friendliness by using recycled and sustainable materials. Located in Mexico’s Primavera forest in Jalisco area, Huiini House is the retreat of a single woman with an adventurous streak. 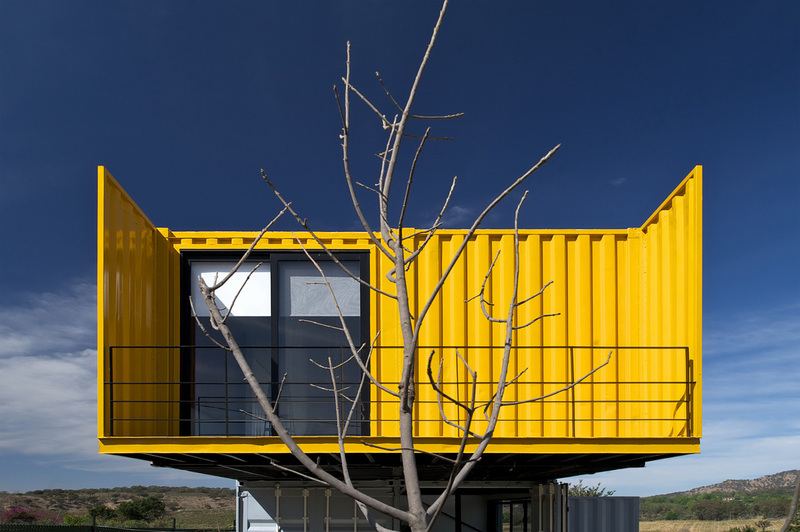 The house was made out of four containers of 30m² each and measures 120 m². The containers used here come with many advantages, such as being made of recycled material, quick and easy to construct, can change the location if required and expandable, being modular. 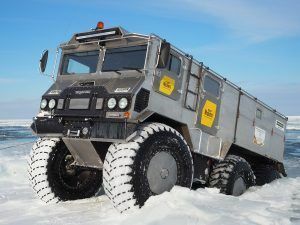 It is heated with solar cells. 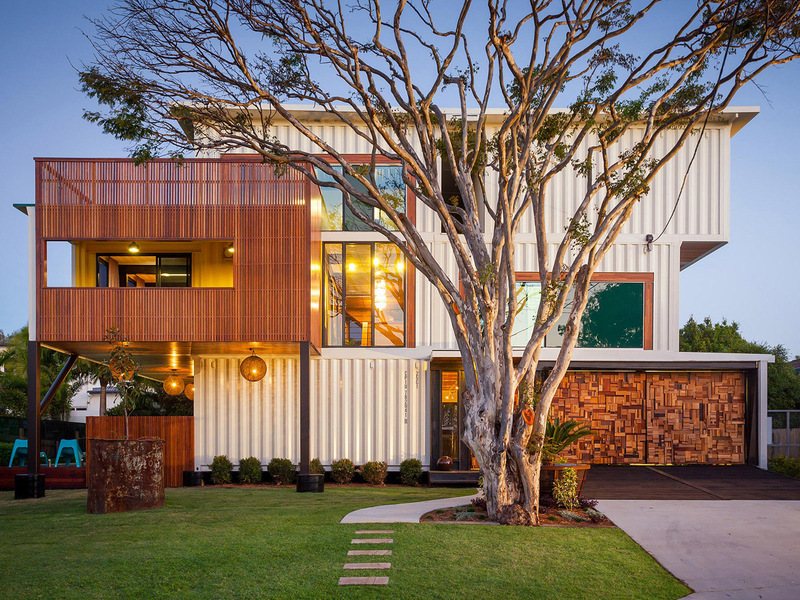 If ship container homes began as a novelty, or to counter the heavy expenses of traditional construction, today homes made from shipping containers are acceptable, both for their functionality and their spectacular design.